Currently only shipping orders to locations in the USA. 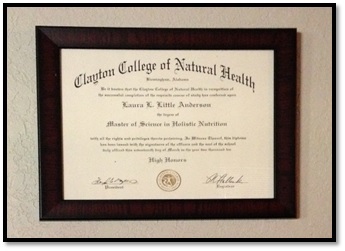 Laura is degreed with a Masters in Holistic Nutrition through the Clayton College of Natural Health, and a Bachelors of General Studies from Texas Christian University. She is a Natural Health Facilitator and an intuitive consultant. Based in Weatherford, Texas, USA since 2009.